03 Sep 2012 Recently, I started using sox. It\'s nice really swiss army nife. Accidantelly, I also discoverd nvlc. 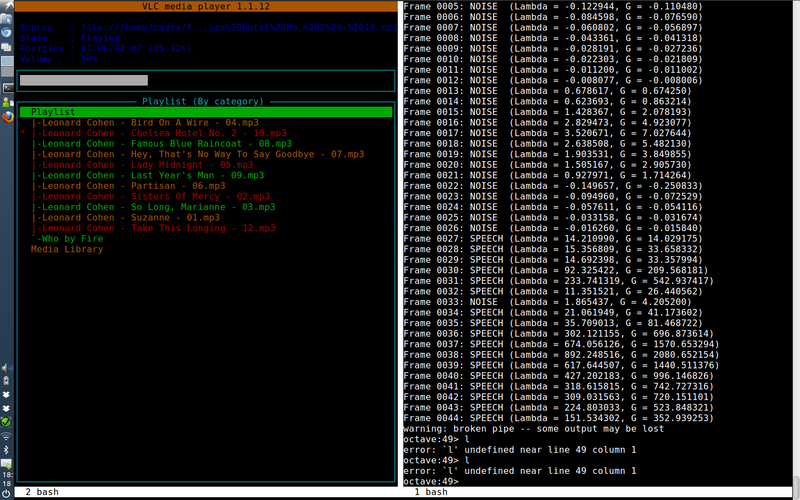 The command line interface to my favourite vlc player. Nice\!